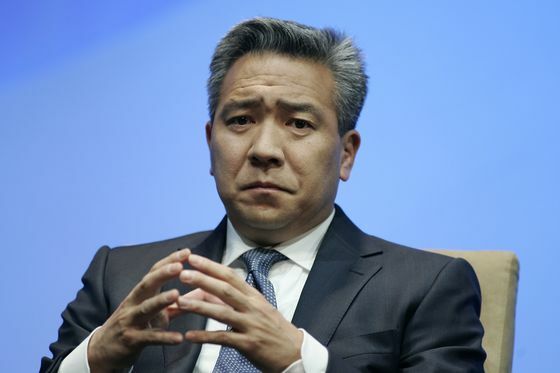 (Bloomberg) -- AT&T Inc. named three Warner Bros. executives to oversee the film and TV studio following the ouster of Chief Executive Officer Kevin Tsujihara over an affair with an aspiring actress. Toby Emmerich, Warner Bros.’ movie chief; television head Peter Roth; and Chief Financial Officer Kim Williams will be interim co-heads of the studio and report to John Stankey, CEO of WarnerMedia, according to a company memo Tuesday. Tsujihara stepped down after the Hollywood Reporter published text messages revealing his relationship with actress Charlotte Kirk and efforts to get her auditions for movies. Just two weeks earlier, AT&T had given him added responsibilities as part of a reorganization of the phone giant’s media businesses. Stankey said in the memo the interim appointments would ensure minimal disruption at Warner Bros. while the company conducts “a thorough search to find the best candidate” for the studio’s top job.